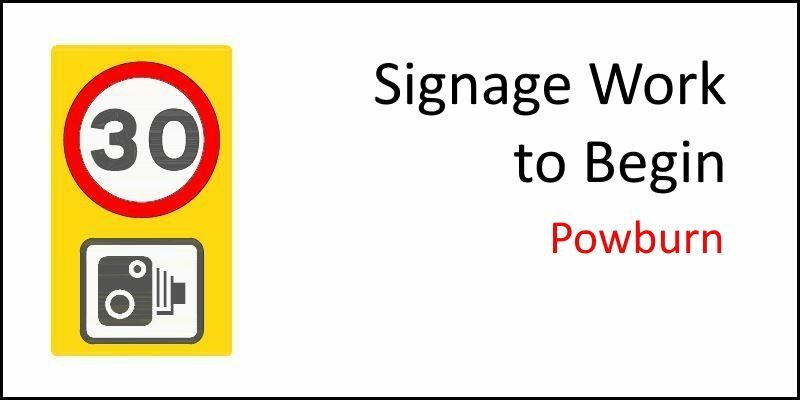 Following our last update regarding Speed Camera Site Compliance in Powburn, we have received this brief update via Robbie Burn (Campaign Lead) from Cllr Wendy Pattison. Of course, an issue at this time of year is the weather and the County Council’s wider winter services responsibilities. However, Mr Snowden will keep Cllr Pattison informed. Hi Paul! Thanks for your kind words. Yes, I agree, the sign is difficult to see past. I’m not sure if this is to be addressed in the current signage works. I’ll pass your comments on to Robbie Burn (Chair of Hedgeley Parish Council) to get his comments. Regards!